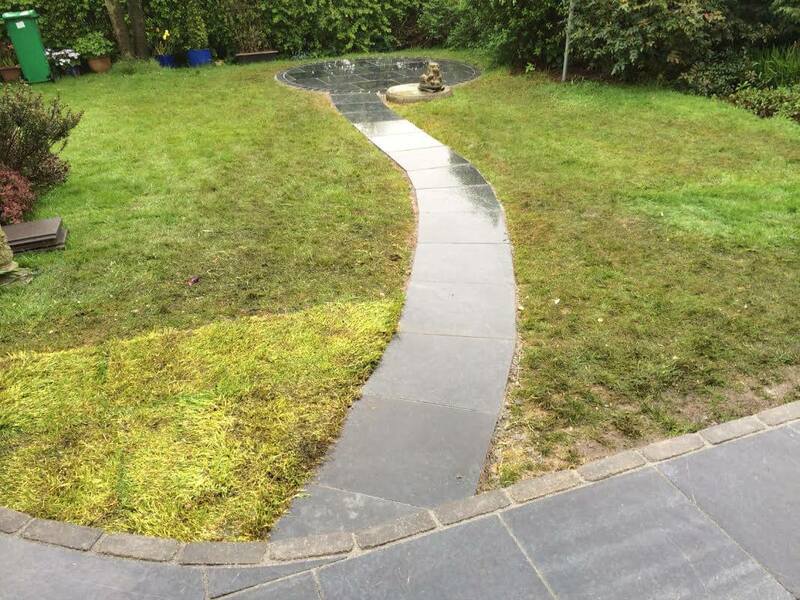 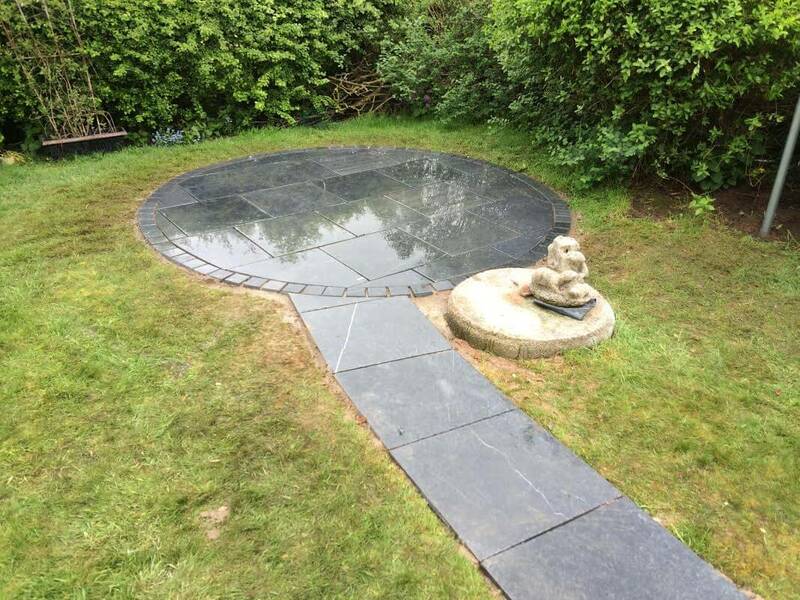 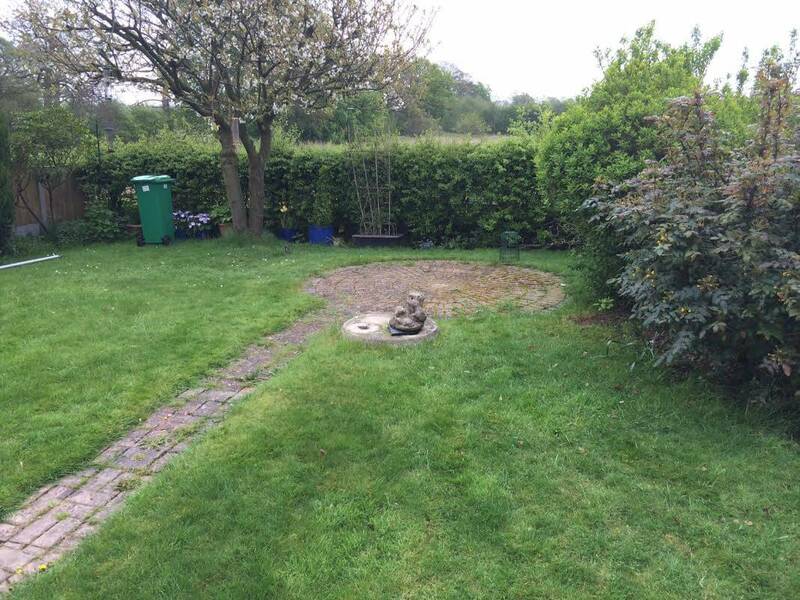 This project was to transform the rear garden by installing a natural limestone patio and circle feature. 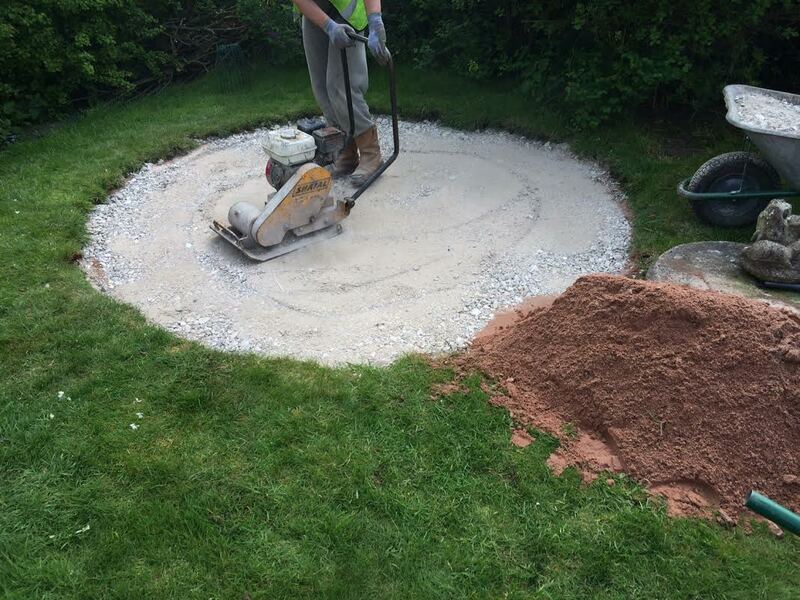 First, we were excavating the ground to the required depth ready for foundations. 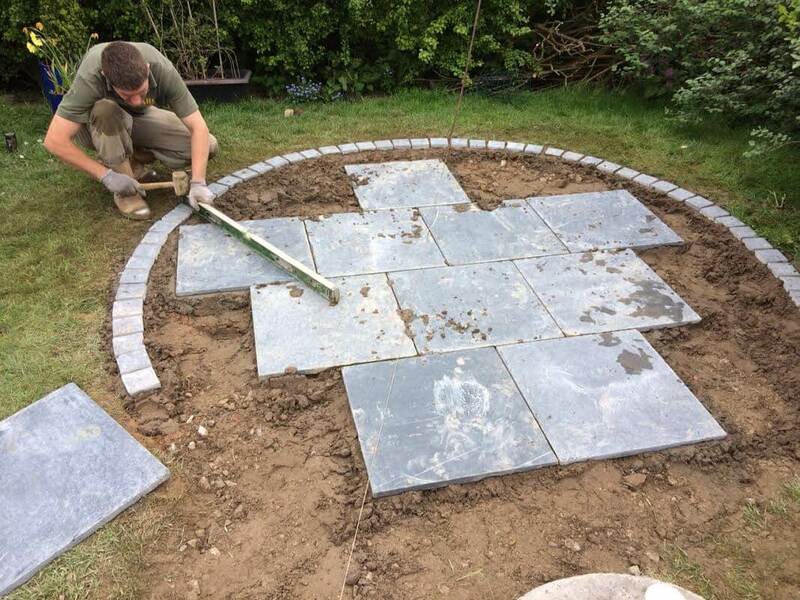 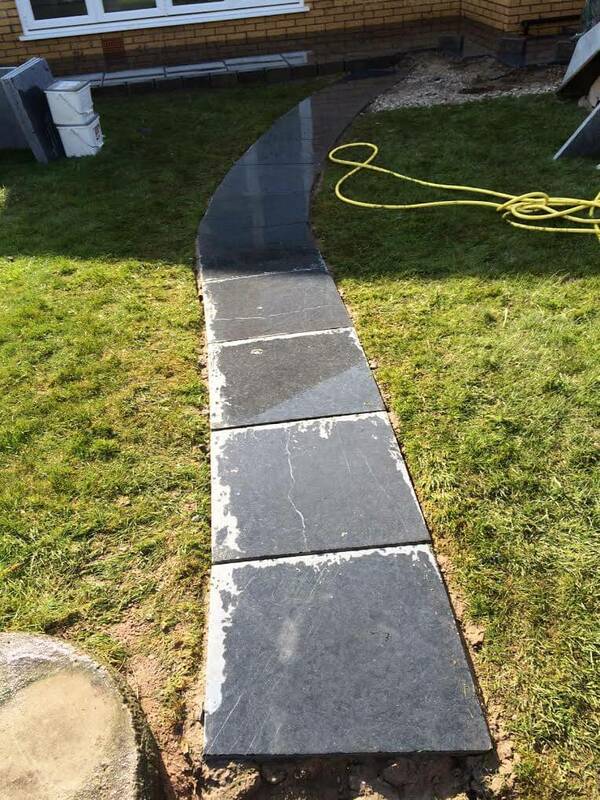 Then we were installing Marshalls Natural Limestone paving, creating a circle patio, a path and a patio by the house which leads to the shed. 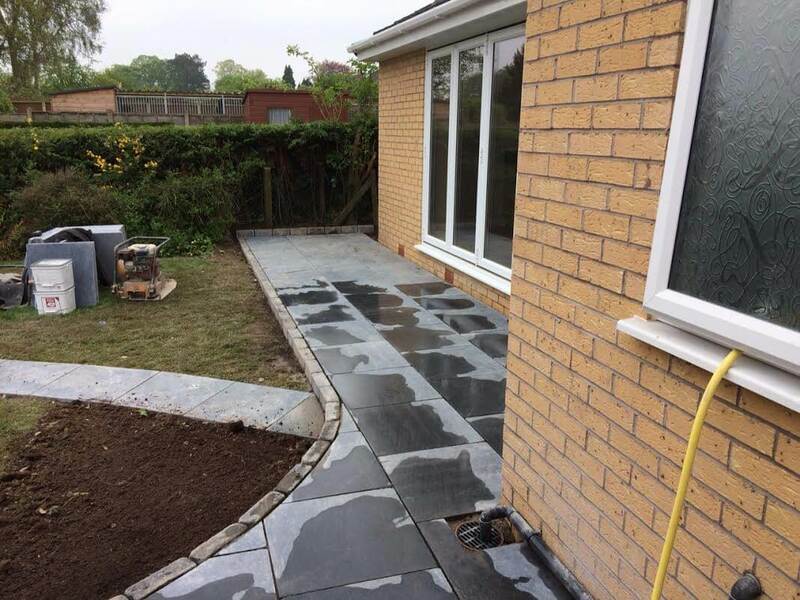 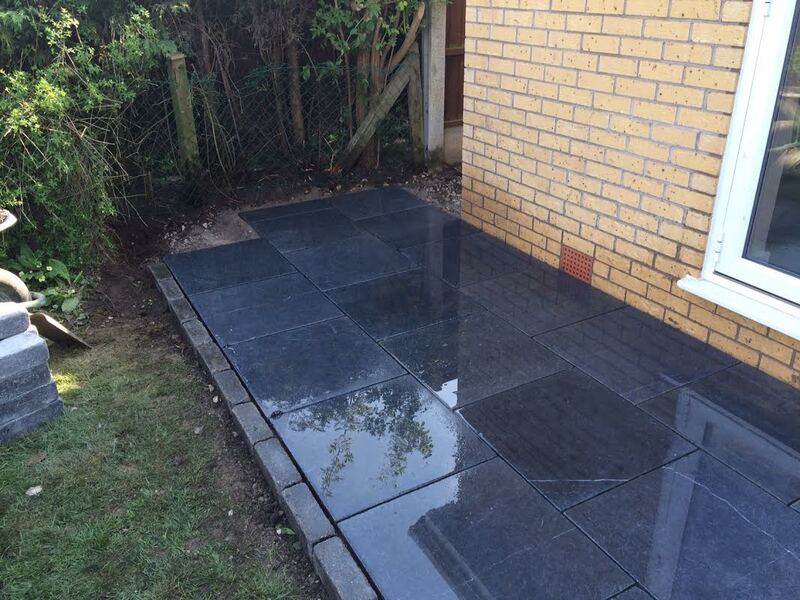 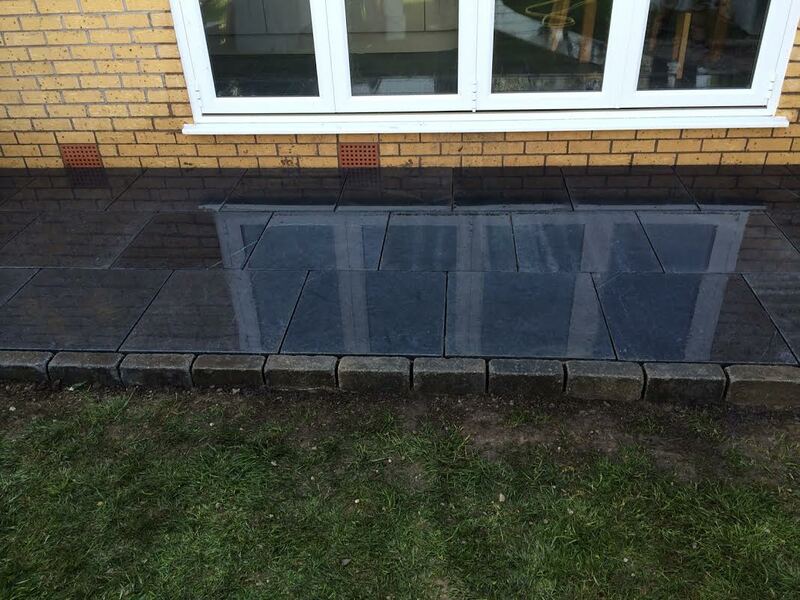 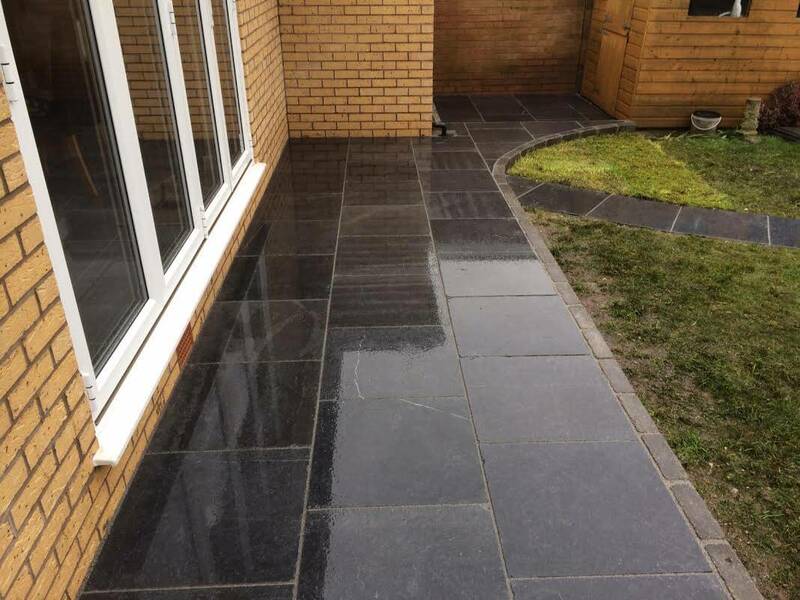 Part of this project was the installation of Marshalls Tegula kerbs to match the colour of the paving, creating raised edging. 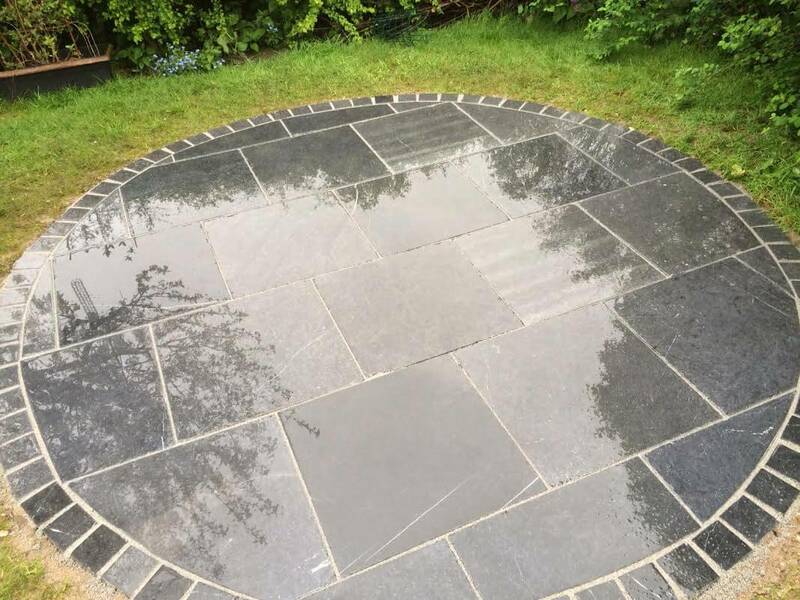 We created a border around the circle feature to create a nice trim using cobbles and finally, we used the same natural limestone to create the flag on edge to retain and create a riser on unseen steps.